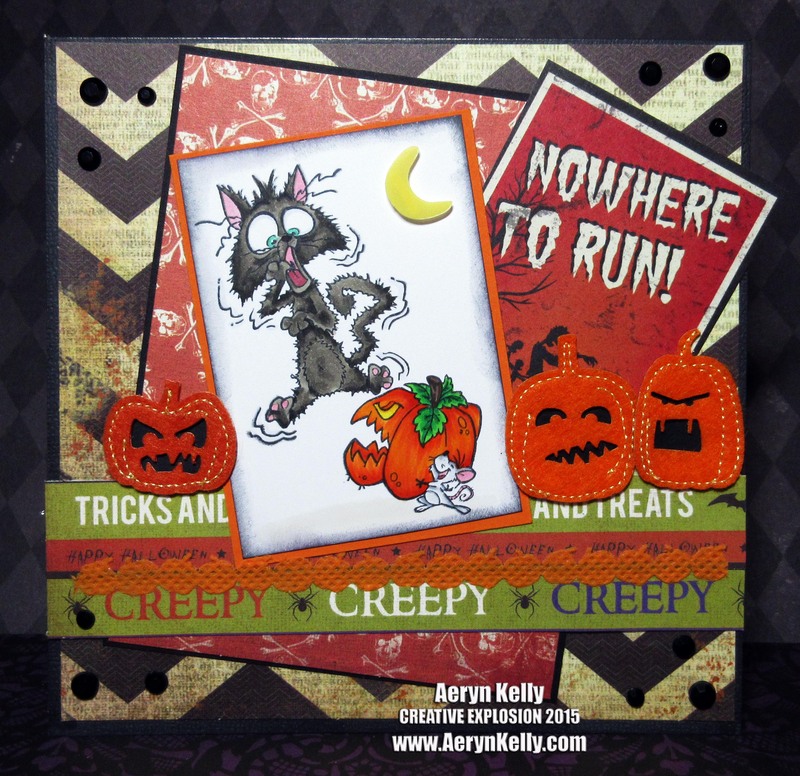 Aeryn's Creative Explosion: Card: 2015 Halloween Day 22 of 31 - Nowhere to Run, Kitty! Card: 2015 Halloween Day 22 of 31 - Nowhere to Run, Kitty! This is just one of those images I love right when I see it. This cat is super fun with all his antics, and is almost always grumpy, which just makes me love him more. I really liked colouring this, but I don't know what happened with the card. You know how those kind of things just get away from you? Yeah, that's what happened. Well, stay tuned for tomorrow's card. I hope you like it!